There are a countless number of activities to get up to and sights to visit in Los Angeles. 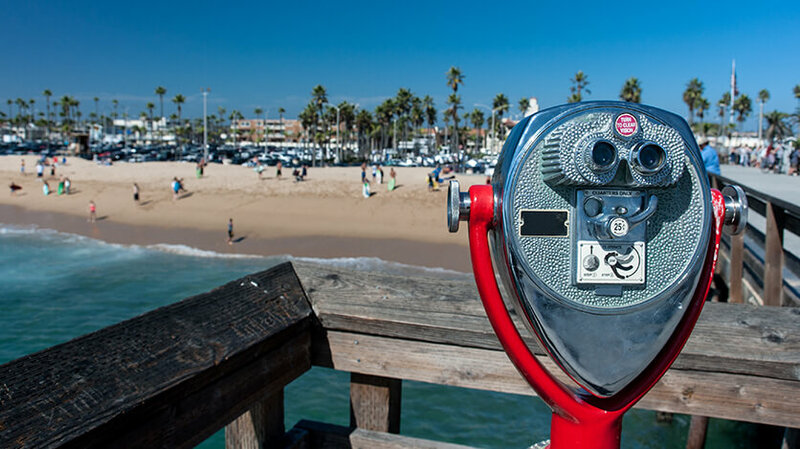 Film buffs will naturally be drawn towards the Hollywood area, however L.A. has so much more to offer than just movie history with its high class shopping, stunning beaches, famous art galleries and a number of world famous theme parks offering fun and excitement for the whole family. Below are a number Of L.A. top picks for visitors to the City. The TCL Chinese Theatre IMAX remains the most iconic landmark in Hollywood. Since 1927, this historic theatre's front courtyard has featured the hand and footprints of stars of the silver screen past and present. Stroll down Hollywood Boulevard and follow the Hollywood Walk of Fame with golden stars cemented into the sidewalk, honoring movie industry legends. One of the only remaining entertainment studios in the Hollywood area, the site has been home to everything from famous television shows such as "I Love Lucy" and "Star Trek" to box-office hits like "Forrest Gump," "Braveheart," "Gladiator" and "Titanic.". For an authentic taste of Hollywood, take a golf buggy tour around the vast grounds, where you can explore sound stages and studio sets from current TV shows and movies. The final resting place of many Hollywood stars and a peaceful oasis of greenery amongst the bustling L.A. metropolis, with fantastic views of the Hollywood sign. On Saturday evenings in the summer, the cemetery also hosts outdoor movie screenings. When they come to Annaheim, home of the Disneyland Resort, kids of all ages are always thrilled to meet their favourite Disney characters like Mickey Mouse, Minnie Mouse and Cinderella and to take in awesome displays like the fireworks-filled parade and laser light shows. Top rides include the Matterhorn Bobsleds, Space Mountain, Big Thunder Mountain Railroad, Splash Mountain and Indiana Jones and the Haunted House. Disney's California Adventure Park is just next door. A working movie studio with a theme park attached to it, visitors can check out famous film sets such as the "Psycho" house, the "Desperate Housewives" neighborhood and "Back to the Future" town square. They can also enjoy thrilling movie themed rides such as “Transformers: The Ride-3D” and “Fast and Furious – Supercharged”, opening in June 2015. For the adrenaline junkie, nothing on the planet compares to Six Flags Magic Mountain with its terrifying array of rollercoasters and thrill rides such as the Lex Luthor: Drop of Doom, the X2, Viper, Tatsu and the Riddler's Revenge (the fastest stand-up coaster in the world). The golden sands of the famous Venice Beach are backed by a walkway that is packed with people walking, cycling, rollerblading and jogging. There are a variety of eclectic shops along the walkway selling all manner of unusual goods. Generally thought of as L.A.’s more family friendly option when it comes to beaches, with glorious weather virtually all year round and exquisitely soft white sands, the home of Baywatch deserves its reputation as one of the country’s finest beaches. The famous pier, which features the coastal thrill rides of Pacific Park and lively street performances, are also a real highlight to be savored. Malibu’s Zuma Beach probably holds top spot for swimming and sunbathing due to its cleanliness, making it a real favourite amongst the locals. The beach also has awesome waves, ample parking and easy access to beachside snacks. Perched high in the Santa Monica Mountains, the Getty Center, with its stunningly beautiful gardens, features a vast collection of art including Van Gogh, Monet, Manet, Renoir, Cezanne as well as Greek and Roman antiquities and modern sculptures. The Museum of Contemporary Art consists of three separate facilities and is dedicated to works from the 1940s onwards. The museum is the largest art museum in the western United States. The complex has seven separate buildings and holds strong collections of Asian, Latin American, and Islamic Art. The La Brea Tar Pits were formed 40,000 years ago when oil seeped through the rock. The tar has preserved the fossils of pre-historic creatures and the fully reconstructed fossils of mammoths, saber-toothed cats and dire wolves are on display at the nearby Page Museum. Rodeo Drive is an upscale shopping street in Beverly Hills, full of designer label stores and small private boutiques. The area is popular with wealthy shoppers, celebrities and tourists hoping to see fashion icons or to do a spot of window shopping. Once an iconic symbol of the glamorous Hollywood lifestyle, this famous palm lined thoroughfare which connects downtown L.A. to Beverly Hills has kept its cinematic charm, while the "Sunset Strip" portion has become a popular nightlife spot, as well as being home to many classic music venues, including the Rainbow Bar & Grill and The Roxy Theater. Griffith Park, situated in the Santa Monica Mountains, is the largest state park in California. The park contains the Los Angeles Zoo, the Griffith Observatory, a planetarium, a Greek theatre, an equestrian centre, golf courses, tennis courts and many walking trails or drives into the mountains provide splendid views. The Griffith Observatory is located on a hilltop and the Zeiss telescope allows for viewing of the moon and planets. The Observatory also has three solar telescopes.